Ananka's Diary: Why Not Try Something Different? A Christmas present? How fabulous. But your link doesn't work, I'm afraid! hey kirsten so you have a rough date for kiki 3? I don't eat fast food. Ever. Lol. And I LOVE LOVE LOVE cheese. It is so cool that he is doing that! That was so interesting...I wish there was a shop like that in the UK. I'd love to try some of those flavours! I haven't had pop in like a year! Last week, I was really thirsty so I took a tiny sip of my mom's root beer and it felt soooo weird! I forgot how bubbly it was!!!! It actually hurt my throat! 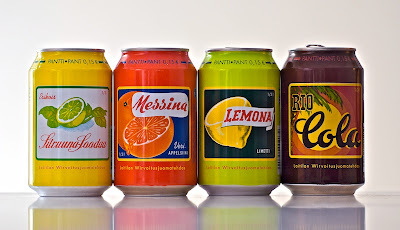 I don't like pop very much, but if that guy had a pomagranate flavored soda, I would totally have some! that's like my favorite fruit in the world! WAIT!!!!!!!! you havent had soda in years??? well, i probably shouldnt be talking because i cant drink soda unless im at a party and im just snacking cuz i only drink orange soda, sprite, and i love love love orange izze. i collect izze bottles. where was i? oh the bubbles fill me up fast. i love bubbles!!!!! Cool! I hate all soda though but I might try some of these. But I probably won't, I hate fizzy drinks. someone should tell him to branch out to where i live! I love guavas and coffee as well, but barely anyone has heard of guava!!! love cheese. especially sharp cheddar.hey, there is this soda called"birch beer" it is SO good. it tastes like root beer with a little bit of cream soda mixed in. but.....you can only get it in WV and VA. kirsten,if you are ever in VA near Tazewelle County, and you decide to drink soda go to the Pop Shop and try some! Kirsten I just gotta ask...Where can I get my hands on some of that rose petal soda??? Must. Have. Some! I love old fashioned sods! Those look so good! But did you notice he was kinda contradictory? He said diets were gross, then said he only drank diets or just plain carbinated water. Then he said how bad big companies like Coca-cola were bad, and had a big old fashioned coca-cola sign! I've never had a soda in my life! She said they were delish! I was talking 2 my friend about think in the locker and we were saying how they should make a frappucino soda. OMG I LUV FRAPPUCINOS!!!!!!!!!!!!! Uhhh i dont really like this cuz in the story kiki is allergic to just about everything she cant eat cheese!! There is this one store in Philly, it sells sodas with flavors like Grass Jelly, Aloe, and Sugar Cane.